We get this question a lot! Mostly because SEO is difficult to completely understand, especially for people in fields other than Marketing, but also because anyone in the business world has probably heard this term a time or two from someone trying to sell them services. Have you ever gotten that phone call from “Google” telling you that your listing needs to be updated? Yeah, so have we! And it’s just spam. But if you’ve gone a bit further with those sales people, they probably brought up Google with the importance of SEO for your business. And that they can help for an upfront fee! (And then you don’t ever hear from them again). They’re right, it’s necessary, they just go about it the wrong way. SEO is so important but it’s more than just random backlinks and a few good keywords. SEO stands for Search Engine Optimization. 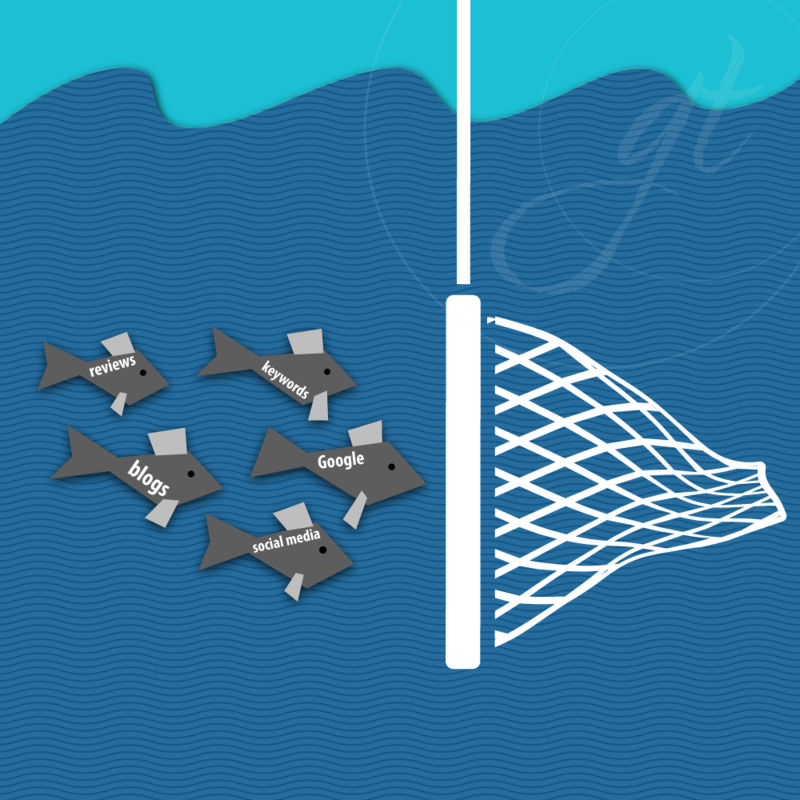 Basically, creating a website that, like a big fishing net, pulls in customers and clients from many different places on the internet using many different strategies. Or, in short, when people search for your business, it gets found! The two biggest factors that go into SEO are TIME and EFFORT! This is where many businesses fall short because they don’t have the man-power, the extra hours or the desire to learn all there is to know about optimizing their website and reworking it to keep up with the ever-changing best practices. The first goal of SEO is to be found when someone is searching for you. The second is to make that person a customer or a referrer once they’ve found you! Sounds simple, right? It is! The difficulty arises because there are so many other “fishing nets” out there and they are all fishing in your spot! Using a professional who has experience with algorithms, analytics, data collection and more is the key to success! And one who can use this information to create a beautiful website is important as well. You don’t want to have all your ducks in a row but have them floating on a murky pond! We know SEO can be overwhelming! It doesn’t have to be though, especially if it’s broken down into steps. The first step is getting started! If you want to learn more about how SEO can help your website (and where it ranks currently), give us a call. We’d be happy to give you an idea of where you’re starting from and what steps you need to take to stand out from your competitors. *Ring, ring. * Is your computer running? Well, then you better go catch it!